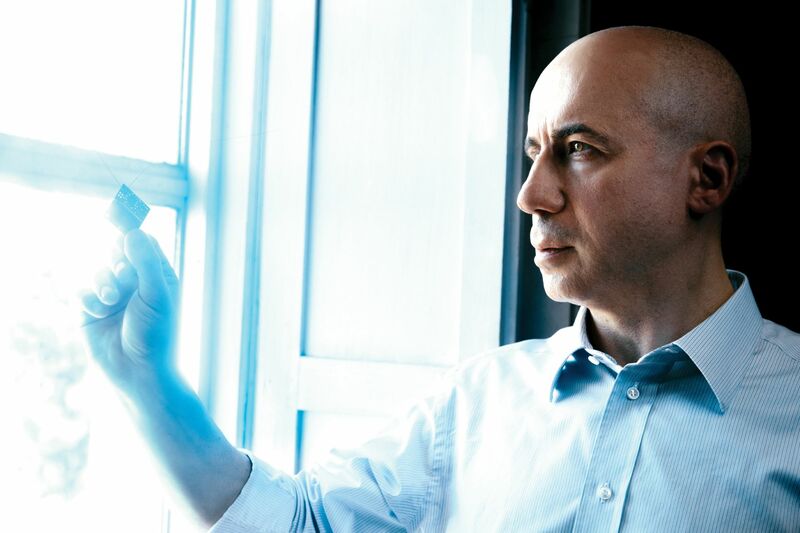 There were too many uncanny signs in the life of billionaire philanthropist Yuri Milner for him to ignore a childhood calling. We travel to Silicon Valley to meet him and his wife, Julia, and find out about their quest to solve the question: Are we alone? There could have been a giant pyramid in California. In the late 1800s, James Lick, a property tycoon who had become California’s richest person, wanted to leave a legacy and took inspiration from Egypt’s pharaohs. The Pyramids of Giza have long sparked the collective imagination, with some experts positing that they were built as afterlife launchpads, designed to send the soul of departed rulers shooting up into the stars. And, like a modern-day pharaoh, Lick wanted to be buried inside his creation, perhaps harbouring a hope that his soul would be sent on an eternal voyage through the cosmos. However, Lick was talked out of it by an astronomer friend who suggested that a more philanthropic legacy would be to fund the establishment of a world-class observatory. 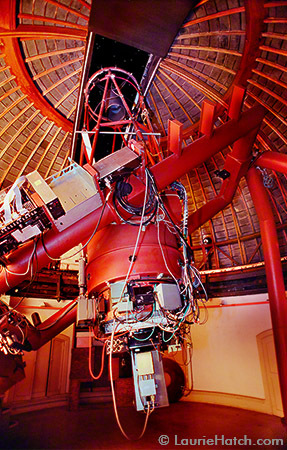 The couple in the image above are Yuri and Julia Milner, the modern-day philanthropists who are funding one of the projects at the Lick Observatory. Together they form a striking pair, looking as if they have walked out of the latest X-Men movie, he the gifted mastermind and she the lithe heroine with otherworldly powers. 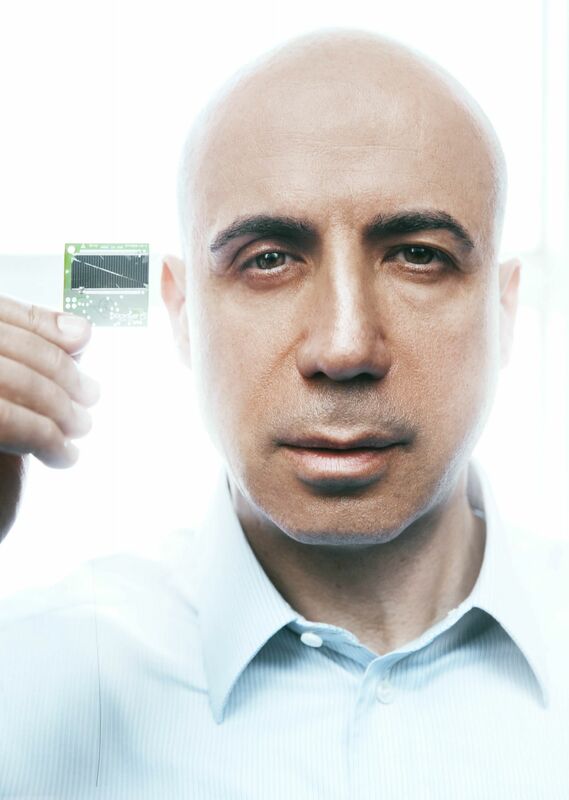 The Milners are well known in global tech circles; Yuri’s early investments in Facebook, Twitter, WhatsApp, Spotify, Alibaba and JD, as well as his pioneering role in Russia’s nascent tech industry in the ’90s, have earned him a US$4 billion fortune and a place on numerous published lists of the world’s top tech titans. Through the company he founded, DST Global, Yuri has more recently invested in Meituan and Didi. But it is for their philanthropic projects that the Milners are perhaps best known. As founders of the Breakthrough Prize, the couple are committed to supporting science with awards and by raising its profile among the influential as well as the general public. Julia and Yuri, a former physicist, have pulled together a formidable network of supporters through regular gatherings at their sprawling Los Altos mansion, private screenings of science-themed movies and, surprisingly, through games of their favoured sport, badminton, which is apparently de rigueur in Silicon Valley circles. The couple take the sport so seriously that they receive training from a Chinese coach who worked with the US Olympic team. The Breakthrough Prize is co-funded by a who’s who of Silicon Valley: Mark Zuckerberg and Priscilla Chan of Facebook, Google’s Sergey Brin, and Anne Wojcicki, the founder of genome-testing company 23andMe. The most recent addition is Tencent co-founder Pony Ma. With this calibre of patronage one would expect sizeable financial incentives and indeed there are: the Breakthrough Prize awards six prizes each year to outstanding scientists—four for work in the life sciences, one for physics and one for mathematics. Each award comes with a cash payment of US$3 million, nearly three times that of a Nobel Prize. Since 2012, the prizes have been handed out at a lavish event held in Hangar One, the iconic mid-century modern structure in Silicon Valley, which is televised live around the world. Hollywood stars, wrangled by Julia, and tech entrepreneurs, wrangled by Yuri, share the stage with boffins in what is often called the Oscars of science. But the Milners’ efforts to raise awareness are working. In 2015, the foundation created the Breakthrough Junior Challenge for teenagers with the winner receiving a US$250,000 university scholarship, US$50,000 for the teacher who inspired them and a US$100,000 upgrade for their school’s science lab. Aside from the Breakthrough Prize, the Milners’ foundation also supports Breakthrough Initiatives, highly ambitious projects designed to help find the answer to what they believe is the most profound question of our time: Are we alone in the universe? It is a question that has fascinated Yuri since childhood. Yuri’s passion led him to study theoretical physics at Moscow State University and then work as a physicist alongside Nobel Prize winners. Despite his passion, Yuri felt his contributions to the field were limited and he decided to change tack. In 1990, he took an MBA course at the University of Pennsylvania’s Wharton School, becoming the first non-emigre from the Soviet Union to do so. By the time the decade (and millennium) came to close, Yuri had shifted his focus completely onto the internet. It was during this period that he found himself at a Moscow gym, standing on a treadmill next to a tall, striking model by the name of Julia Bochkova from Siberia’s capital, Novosibirsk. The two clicked immediately, perhaps in part because she was undergoing a career change of her own. Since the age of 14, when she was scouted by an agency, Julia had travelled extensively, dividing her time between the world’s fashion centres, New York, Paris and Tokyo. “Then at about 20 years old I decided to stop my modelling career. Since I had made some money, I could leave and plan what to do next. So I lived in Moscow, where Yuri advised me to study photography,” she says. The advice proved to be sound: Julia’s successful studies and apprenticeships under notable artists culminated in her own exhibitions around the world and, in 2007, Julia was invited to participate in the prestigious Venice Biennale, where she was the youngest artist. For the show, Julia created an unusual work, one of the first “internet art” installations, Click I Hope, which displays “I hope” in 50 languages on a giant touch screen as well as the internet. As the words glide across the screen, viewers are encouraged to touch the ones in their own language, triggering a live tallied score. Although conceived before the Milners’ foundation, the work somehow pre-empts the sense of relentless hopefulness that imbues the Breakthrough Initiatives and the vastness of the search for life in the cosmos. For a couple whose work is mired so heavily in science’s immutable axioms of rationality and reason, a series of uncanny coincidences has occurred. When the couple relocated from Tel Aviv to Silicon Valley with their children in 2011, they bought a US$100 million mansion on a hilltop in Los Altos. The mansion boasts state-of-the-art technology, including a video-screen ceiling (which typically displays dramatic scenes of supernovas) as well as giant TVs in every room showing Nat Geo or Discovery, the preferred channels of the notoriously sleep-averse Yuri. But unbeknown to the couple at the time of purchase, the house played a historic role in the establishment of Seti, the organisation that takes its name from the acronym for Search for Extraterrestrial Intelligence. A previous owner, who was a chief engineer at Hewlett-Packard, willed the house to Seti after his death in order to fund its mission. And, in another twist, Seti convened its very first meeting in 1961, which Yuri is quick to point out is the year of his birth. 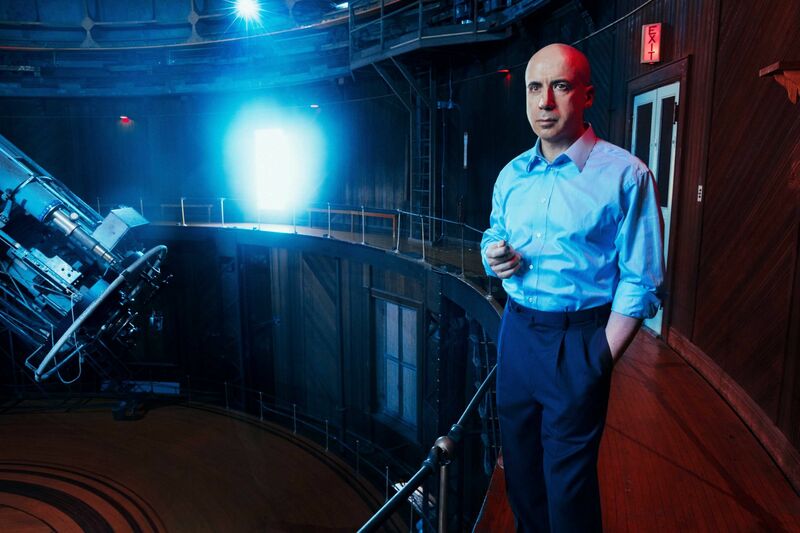 According to him, there’s never been a better time to engage in the search for alien life. Nasa’s Kepler spacecraft observatory, launched in 2009, has shown the world that there are many more planets than previously thought. “It turns out that there are many of them and almost every star-like sun has a planet like Earth, basically. It means that there are dozens of billions of planets like Earth in our galaxy alone. There are a hundred billion galaxies in the visible universe, so you multiply that hundred billion by dozens of billions and you get a very big number of possibilities. A few years ago, we didn’t know that. So now we know,” he says, with a nonchalance that belies the mind-boggling scale of his concept. The Milners’ Breakthrough Listen project is designed to harness the world’s best telescopes—from California’s Lick Observatory to the Green Bank Telescope in West Virginia and Australia’s Parkes Observatory—to look for signs of civilisation on one of those many, many billions of planets. One criticism levelled at those searching for alien life stems from what is known as the Fermi paradox: if alien civilisation is so inevitable, then why haven’t we met them yet? Some have countered this with the suggestion that advanced civilisations can often cause their own destruction, a notion not inconceivable given our own relatively recent threats of thermonuclear conflict. With the current political climate charged by global tensions, how do the Milners see themselves? The most astonishing manifestation of Yuri’s cosmic dream falls under Breakthrough Starshot, a US$100 million project so awe-inspiring that it dwarfs the unfettered ambition of James Lick’s giant Californian pyramid by several orders of magnitude. Breakthrough Starshot will research the possibility of manufacturing thousands of nano-spaceships resembling microchips. These could be blasted out into space towards Alpha Centauri, the star system closest to our solar system that could potentially harbour life on its planets. As the chips hurtle past the celestial bodies at one-fifth the speed of light, they will capture information on their sensors and beam it back to Earth. The journey there will take about 20 years, and the data will take four years to get back to Earth. The hope is that it will include intelligence about alien worlds. The laser technology required to blast the chips is still being developed but the clock is ticking; the Milners hope to receive the information about Alpha Centauri within the lifetime of a generation. Yesterday I made mention of the Schwartz and Townes paper “Interstellar and Interplanetary Communication by Optical Masers,” which ran in Nature in 1961 (Vol. 190, Issue 4772, pp. 205-208). Whereas the famous Cocconi and Morrison paper that kicked off radio SETI quickly spawned an active search in the form of Project Ozma, optical SETI was much slower to develop. The first search I can find is a Russian project called MANIA, in the hands of V. F. Shvartsman and G. M. Beskin, who searched about 100 objects in the early 1970s, finding no significant brightness variations within the parameters of their search. If you want to track this one down, you’ll need a good academic library, as it appears in the conference proceedings for the Third Decennial US-USSR Conference on SETI, published in 1993. Another Shvartsman investigation under the MANIA rubric occurred in 1978. Optical SETI did not seem to seize the public’s imagination, perhaps partially because of the novelty of communications through the recently discovered laser. We do see several optical SETI studies at UC-Berkeley’s Leuschner Observatory and Kitt Peak from 1979 to 1981, the work of Francisco Valdes and Robert Freitas, though these were searches for Bracewell probes within the Solar System rather than attempts to pick up laser transmissions from other star systems. 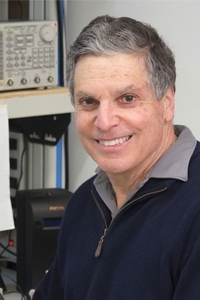 Harvard’s Paul Horowitz, a key player in the development of optical SETI. Credit: Harvard University. 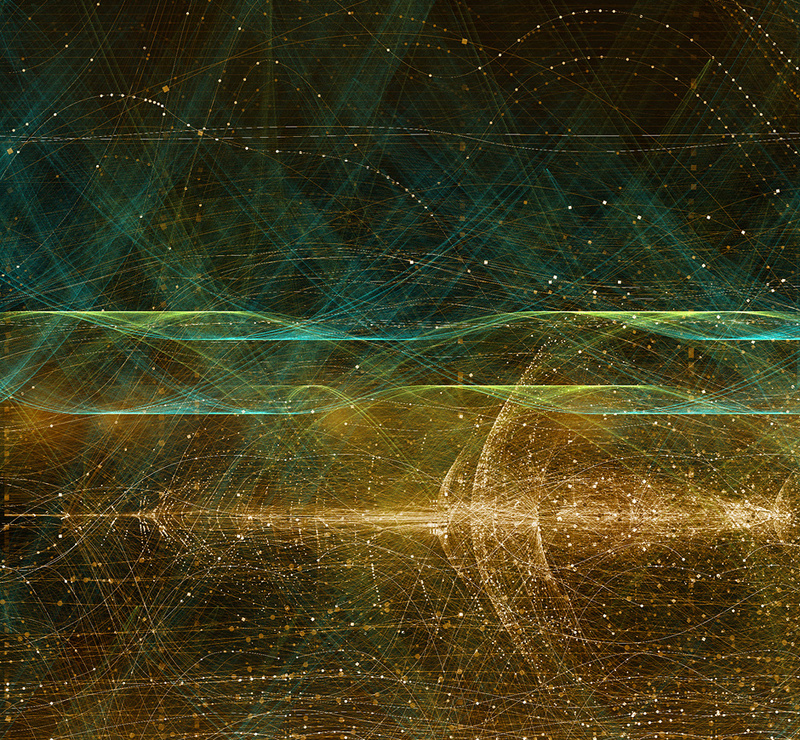 This was an era when radio searches for extraterrestrial technology had begun to proliferate, but despite the advocacy of Townes and others (and three conferences Townes helped create), it wasn’t until the 1990s that optical SETI began to come into its own. Charles Townes himself was involved in a search for laser signals from about 300 nearby stars in the ‘90s, using the 1.7-meter telescope on Mt. Wilson and reported on at the 1993 conference. Stuart Kingsley began an optical SETI search using the 25-centimeter telescope at the Columbus Optical SETI Observatory (COSETI) in 1990, while Gregory Beskin searched for optical signals at the Special Astrophysical Observatory run by the Russian Academy of Sciences in the Caucasus in 1995. In the late 90’s, the SETI Institute, as part of a reevaluation of SETI methods, recommended and then co-funded several optical searches including one by Dan Werthimer and colleagues at UC Berkeley and another by a Harvard-Smithsonian team including Paul Horowitz and Andrew Howard. The Harvard-Smithsonian group also worked in conjunction with Princeton University on a detector system similar to the one mounted on Harvard’s 155-centimeter optical telescope. 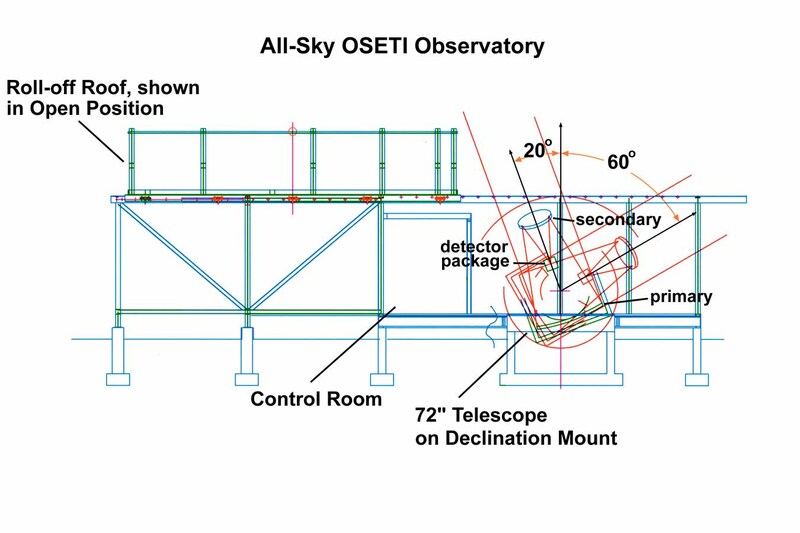 A newer All-Sky Optical SETI (OSETI) telescope, set up at the Oak Ridge Observatory at Harvard and funded by The Planetary Society, dates from 2006. At Berkeley, the optical SETI effort is led by Werthimer, who had built the laser detector for the Harvard-Smithsonian team. Optical SETI efforts from Leuschner Observatory and Lick Observatory were underway by 1999. Collaborating with Shelley Wright (UC Santa Cruz), Remington Stone (UC Santa Cruz/Lick Observatory), and Frank Drake (SETI Institute), the Berkeley group has gone on to develop new detector systems to improve sensitivity. As I mentioned yesterday, UC-Berkeley’s Nate Tellis, working with Geoff Marcy, has analyzed Keck archival data for 5,600 stars between 2004 and 2016 in search of optical signals. Working in the infrared, the Near-Infrared Optical SETI instrument (NIROSETI) is designed to conduct searches at infrared wavelengths. 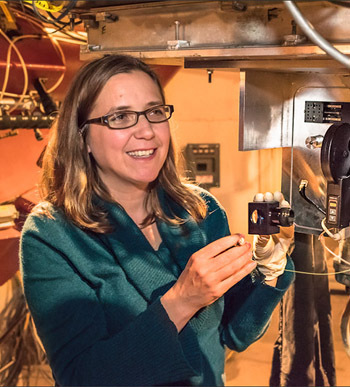 Shelley Wright is the principal investigator for NIROSETI, which is mounted on the Nickel 1-meter telescope at Lick Observatory, seeing first light in March of 2015. The project is designed to search for nanosecond pulses in the near-infrared, with a goal “to search not only for transient phenomena from technological activity, but also from natural objects that might produce very short time scale pulses from transient sources.” The advantage of near-infrared is the decrease in interstellar extinction, the absorption by dust and gas that can sharply impact the strength of a signal. 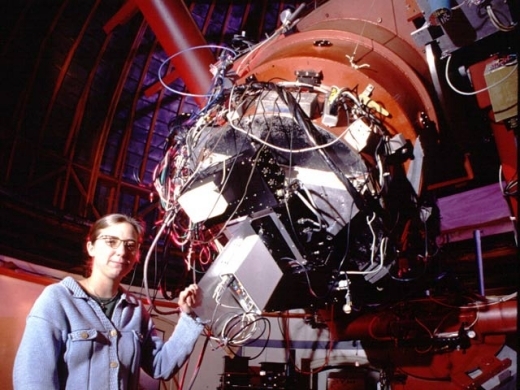 Shelley Wright, then a student at UC-Santa Cruz, helped build a detector that divides the light beam from a telescope into three parts, rather than just two, and sends it to three photomultiplier tubes. This arrangement greatly reduces the number of false alarms; very rarely will instrumental noise trigger all three detectors at once. 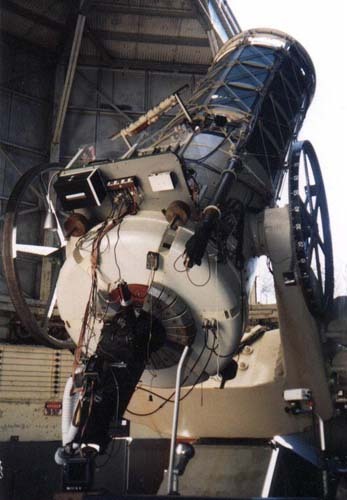 The three-tube detector is in the white box attached here to the back of the 1-meter Nickel Telescope at Lick Observatory. Credit: Seth Shostak. I might also mention METI International’s Optical SETI Observatory at Boquete, Panama. The idea is to put the optical SETI effort in context. 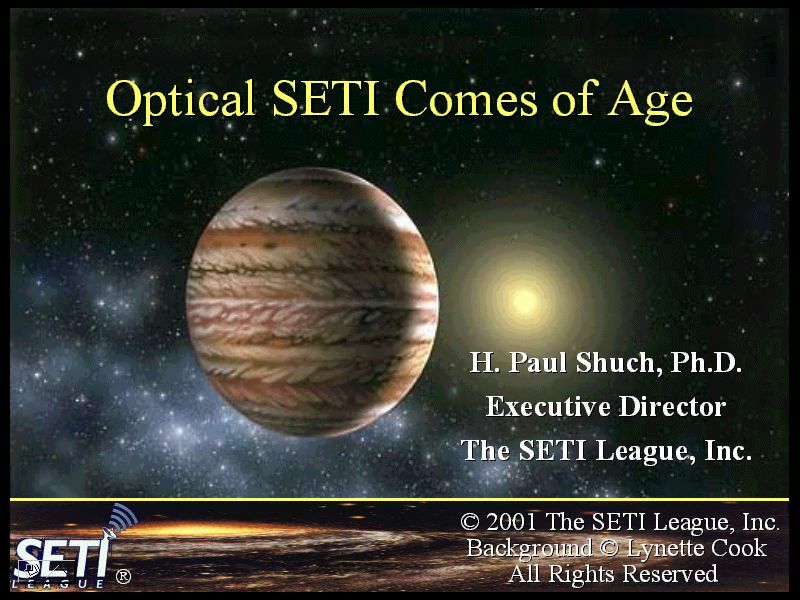 With the SETI Institute now raising money for its Laser SETI initiative — all-sky all-the-time — the role of private funding in making optical SETI happen is abundantly clear. 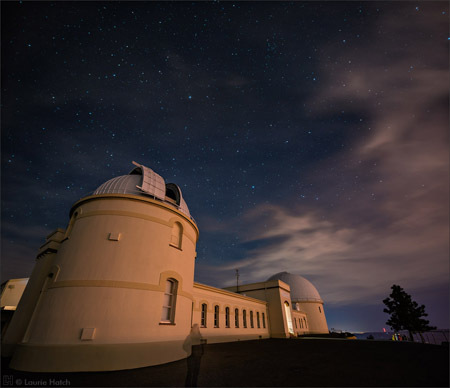 And now, of course, we also have Breakthrough Listen, which in addition to listening at radio wavelengths at the Parkes instrument in Australia and the Green Bank radio telescope in West Virginia, is using the Automated Planet Finder at Lick Observatory to search for optical laser transmissions. Funded by the Breakthrough Prize Foundation, the project continues the tradition of private funding from individuals, institutions (the SETI Institute) and organizations like The Planetary Society to get optical SETI done.